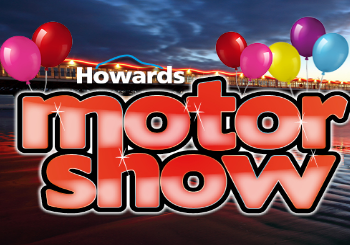 This year is a very exciting time for Howards, some of the best new car releases are scheduled for 2017 and, to top it off, they have made an extraordinary collaboration with The Grand Pier at Weston-super-Mare! Mid-March will see a truly unique and exciting spectacle, as the latest models across the Howards range roll out onto the Pier to make a very special appearance! Grand Pier Director, Michelle Michael sums the whole experience up saying, “This is a great opportunity to come and view up to 50 new cars from leading manufacturers in one place, here on the Grand Pier, and we are delighted Howards Motor Group chose us as the location for this unique event”. In choosing the setting for this show Howards were very particular about ensuring it would have maximum effect and perfectly showcase their vehicles, whilst also ensuring that all attendees would have a fun and interesting day too. Having seen the cars pictured in What Car magazine on the pier Howards knew they had found the perfect setting, frequently used as a tv and film location and home to the biggest arcade in Weston-super-Mare it covers all angles. Whilst exhibiting an exciting selection of cars you can also enjoy all manner of rides from Dodgems, Robocoaster to F1 simulators and in addition to this youngsters can enjoy the Kids Eat Free offer of free meals to under 10’s with every paid adult meal as well as soft play area for the youngest of attendees. So whether you bring a friend or the family Howards and The Grand Pier have all bases covered, it is the ultimate 21st-century theme park. Howards Motor Show will be taking place on Saturday the 18th and Sunday the 19th of March and will feature all the latest releases from Honda, Peugeot, Toyota, Nissan, Kia, DS, Citroen and, of course, Lotus. It’ll be a weekend for all the family, a truly unique experience that will allow you to check out the latest cars as well as enjoy the family fun with activities such as selfie competitions, with a prize worth £250 as well as face painting for the kids, or adults if you want to get involved! The Breeze team from the local radio station will also be making an appearance and will be on a mission to capture and promote all the fun activities of the day! Howards will have a great team of their own present, all passionate and full of knowledge about all the models across the range, so any questions you might have? They will have the answers! So, whether you’re a car enthusiast, someone looking to buy a new car or looking for a fun family day out or even just interested to see what we’ve got, then make your way down! With the weather getting increasingly warmer and spring on the horizon what better way to enjoy your weekend? our Howards sites from Taunton and Weston-super-Mare. So, join us for what is sure to be a great day out! *Kids Eat Free available daily in The Boardwalk Café situated at the entrance to the Pier Pavilion and Tiffany’s tea room situated at the rear of the Pier Pavilion. One free under 10 child’s meal with every paid adults meal. Tiffany’s main meals can only be taken from the ‘Lunch’ and ‘Salad’ sections of the menu to qualify. Boardwalk Café subject to seasonal opening, and may not be available on weekdays during off-peak times. Boardwalk main meals can only be taken from the ‘Meals’ (excluding ‘Chips’ option), ‘Burgers’, ‘Jacket Potatoes’ and ‘Salads’ sections of the menu to qualify. Not available in conjunction with any other offer, promotion or event. Non-refundable and non-transferable. Cannot be redeemed for cash or any cash equivalent. Entry to attraction not included. Circus, Crystal Maze, Freefall, House of Mirrors and Lazer Maze. Children under 12 must be accompanied by someone aged 12 or over on Dodgems.